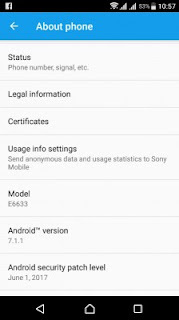 Around February this year the Sony Xperia Z5, Xperia Z3+ and Xperia Z4 Tablet got the Android 7.0 nougat update . Presently 7.1.1 update is being received by these same devices at this very moment. 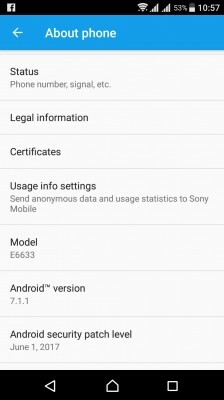 The built number of the new updates is 32.4.A.160 and it brings the Android security fix level to June 1, 2017.